Instapak Foam in Place packaging is a convenient, simple and highly efficient form of customising your packaging. Whether you use Instapak Quick bags which simply expand around your product from within a bag or whether you use Instapak Systems for the higher volume jobs - Instapak Foam in Place Packaging allows you to package and fill the void around a product of almost any size or shape. Instapak is the ultimate in protective packaging. Instapak® foam expands up to 200 times its liquid volume, when, where and as you need it, significantly reducing the costs of storage and handling. 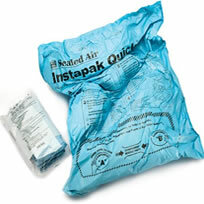 Instapak Quick Bags or Instapak QRT (Quick Room Temperature) are able to be used at room temperature. They come in a compact form before being activated so are convenient, portable and easy to use. To use them (see video below), you simply pat back and forth on the bag to activate the chemicals. This causes the package to expand at which time you place the Instapak bag in a box and you place your item on top of it. The bag will continue to expand around your package and create a custom formed foam brace which will protect and lock your package into position. It takes seconds for the chemicals to foam up once activated and only a minute or so for the foam to become hard. The versatility of Instapak Quick QRT allows products of almost any size, weight or shape to have custom form packaging. The Instapak Quick bags means no outlay on machinery whilst providing the ultimate in protective packaging. 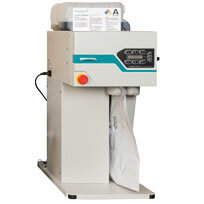 The Instapak Simple system is the newest to the Instapak machine foam in bag range. It is the next step up from the QRT bags and true to its name the Instapak Simple system is the easiest system yet- merging the premium performance of Instapak foam packaging with an on-demand delivery system that requires minimal training and service. 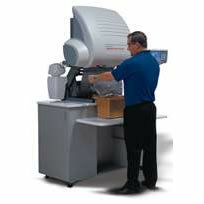 It is ideal for medium Instapak users who would go through several boxes of quick bags per month - but not enough to justify a larger machine such as the Instapak 900 series or Instapak Complete. The Instapak® 901 Foam-in-Place Packaging System is ideal for mid-size packaging applications, while the Instapak® 900 Foam-in-Place Packaging System is suited for small to mid-size packaging applications. • Self-diagnostic controls Built-in timers. 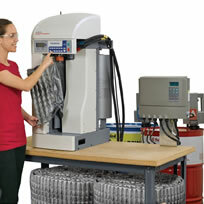 The flexibility of adjusting the amount of foam dispensed for your application. • All electric operation; no compressed air required. • Meets UL and major international product safety stan. 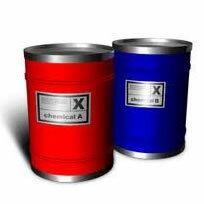 Two 55-gallon drums of liquid components when combined can create a trailer-truck load of packaging material. Environmentally Sensible Packaging - Instapak® foam packaging complies with the environmental requirements of RoHS and other international institutions. For disposal, Instapak® foam can be sent either to waste-to-energy combustion facilities or landfill, or can be returned to any of our 20 worldwide foam return locations. A simple cushioning or blocking and bracing process for a variety of items in varying shapes and sizes. Instapak® foam is dispensed. 4. Your customer receives your product undamaged. 1. A simple wood mould is used to produce the desired cushion shape. 2. Instamate® film is placed in the mould and Instapak® foam is dispensed. 3. Your product is packaged safely in custom-shaped, engineered cushions. This affordable foam-in-bag packaging system combines the proven reliability of our 900 Series metering systems with the convenience and cost effectiveness of the foam-in-bag process. The easy to use Instapacker™ Tabletop system has an incredibly small footprint but can make a big impact on your shipping operations. Capable of producing up to 16 Instapak® foam-filled bags per minute, this versatile system can support the packaging needs of shipping rooms, multiple pack station operations and even the production floor. Foam Packaging System. The protective Power of Instapak Foam delivered on efficient, versatile tubes. Instapak Complete Packaging is a refinement of the Instapak Speedy Packer system and produces continuous foam tubes (CFT's) and foam filled bags using a range of high performance packaging foams which will provide maximum protection using minimum foam. It's compact tabletop design and user defined programmes, utilising 'just in time' production as well as the ability to pre-make bags make it ideal for all packaging applications. Features include subdivisions within the bags and a reduction in the diameter of the bags and comes in a great variety of package sizes. Foam-filled bags can be created in a variety of sizes to be used for void fill, cushioning, blocking and bracing and moulding. 1. With the touch of a button, the operator selects the proper bag length and amount of Instapak® foam. 2. 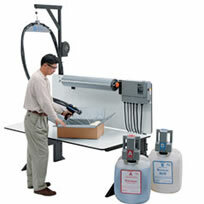 The operator places the foam-filled bag into the carton and nestles the products onto the expanding cushion. 3. A second foam-filled bag is placed on top of the product, and the carton flaps are closed. 4. The foam-filled bag expands around the product and against the carton to form a top cushion. Custom-designed cushions that provide optimum protection are produced qiockly and easily. 1. 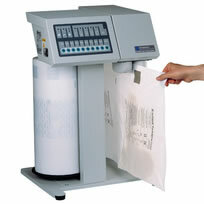 With the touch of a button, the system quickly dispenses an Instapak® foam-filled bag. 2. When placed into the mold enclosure, an on-board vacuum draws the foam-filled bag into the cavity. 3. Aided by a built-in injection system, the operator removes the finished cushion from the mold cavity where it has been allowed to fully expand. 4. In less than a minute, a cost-effective engineered packaging cushion is ready to protect your product during shipping and handling. This versatile and efficient Speedypacker System allows you to serve either one or several packaging lines with just one packaging system. The unique Speedypacker Insight system allows you to combine the unique formulations to create your own custom made void filler, moulder or top and bottom foam in bag cushions. You are able to preset up to 156 cushion combinations including continuous tubes. With a simple touch of a button and a graphical display the Speedypacker Insight system can produce up to 21 Instapak foam filled cushions per minute. Follow the shopping cart link for additional information - all Instapak Chemicals are available for all Instapak Systems. If unsure please contact us to determine what best suits you and your machine. 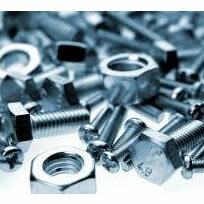 Get Packed supply a range of spare parts for a range of Instapak machinery. Follow the link below for more information on this and talk to our staff for their expertise.